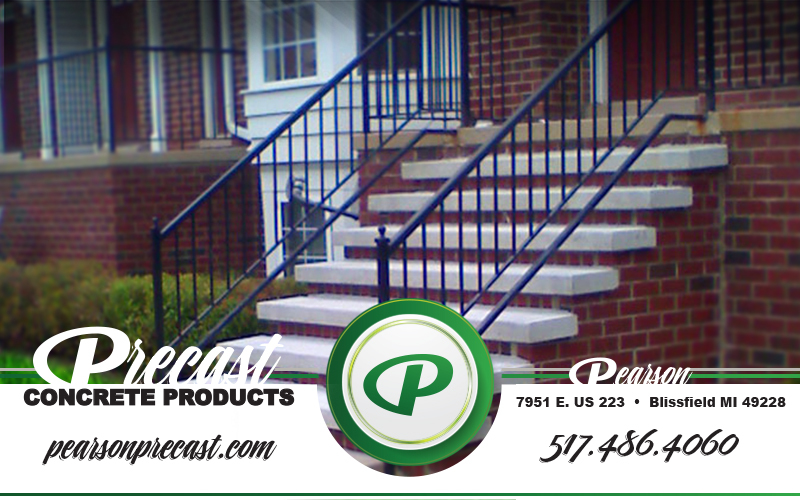 Welcome to Precast Concrete Products, conveniently located on US 223 in Blissfield MI. We have supplied Lenawee and surrounding counties with products such as: -Steps -Edging -Patio Stones -Brick Pavers -Parking Stops -Custom Slabs --Pole Barn Benches -Burial Vaults and much more! We are dealers for: -Doric Burial Vaults -Superior Aluminum Rails -Rockwood Retaining Walls and Landscaping Supplies -Hanson Hardscapes -Unilock Landscaping Products We offer a lot of products but what we are known for is our superior service. Stop in or call to see what sets us apart.